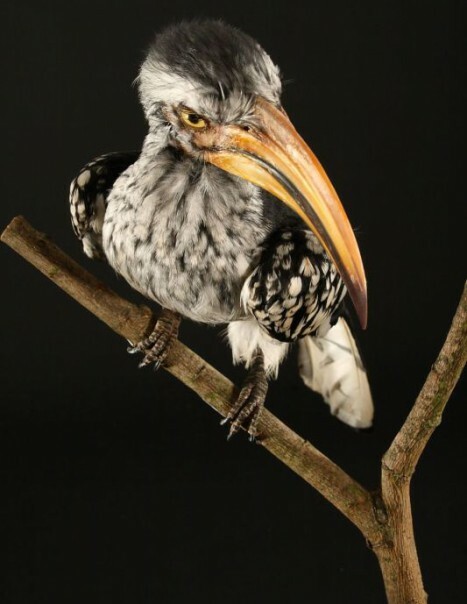 The eastern yellow-billed hornbill is a bird that is part of the Bucerotidae family and lives in the rainforests of West Africa. The size of the bird is 50 cm, weighing about 1.5 to 2.5 kg. 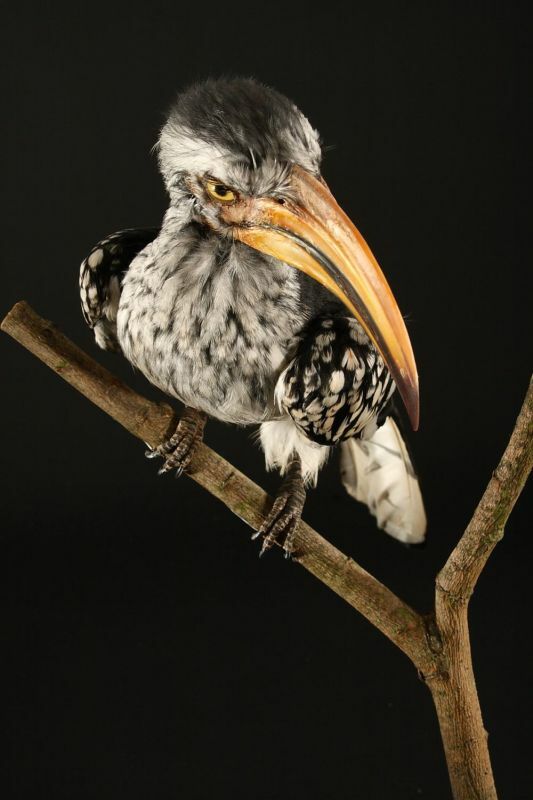 The eastern yellow-billed hornbill is a bird with yellow-orange beak, very curved. The sides of its neck and cap are colored dark plomb gray. 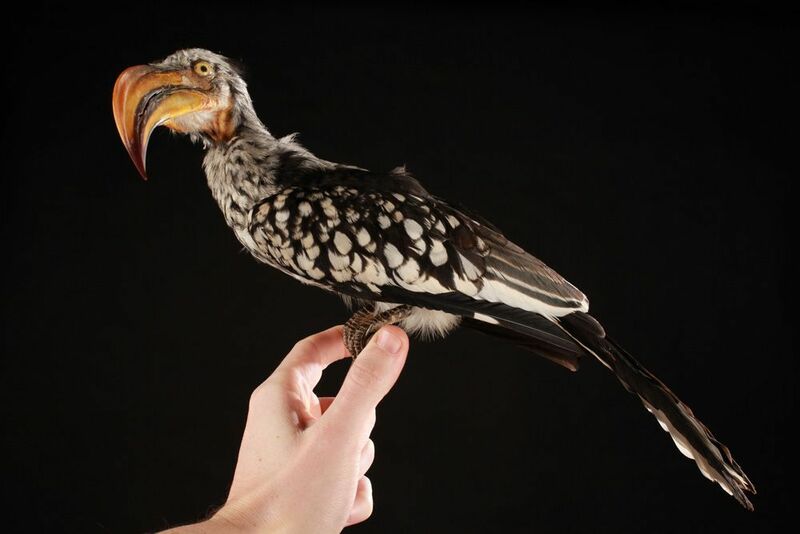 The main sign that can distinguish it from its cousin, the hornbill leucomèle, is its yellow bare skin above the throat. Its back and its coat is brownish black with a white center in the middle line. The feathers of the wing covers and upper breast are black with white flecks. Its diet is based on 40% of plants and 60% of animal prey. This bird is pleased in most cases with what is available. It often feeds with Orthoptera, also consuming boscias, termites, commiphoras fruits and figs. Also, it consumes its captured snakes, small mammals and lizards. The eastern yellow-billed hornbill swallows food then related the indigestible remains as the shells of insects, seeds, etc. The eastern yellow-billed hornbill is monogamous and territorial. This bird spends its courtship couple. It lays its eggs in a natural cavity then incubate them safe from all dangers and feed with fruits and insects brought by the male until the middle of youth development. Then, the female can come out, young still remain in the nest until they can fly.